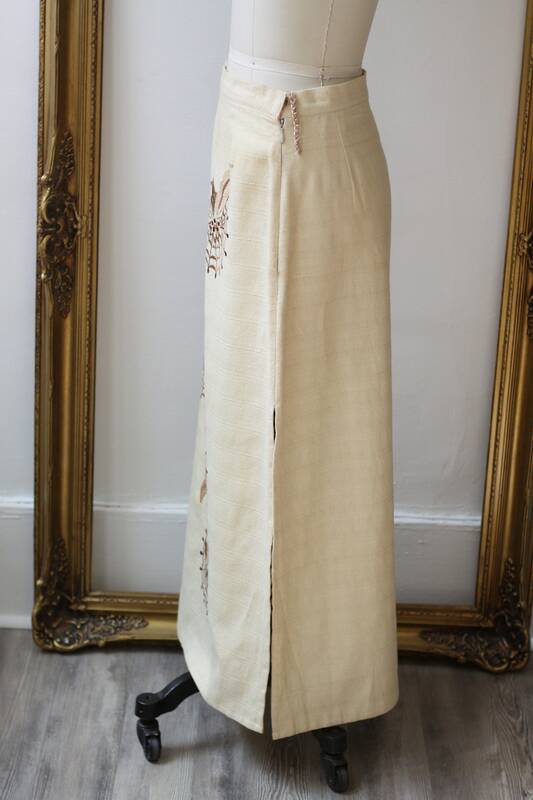 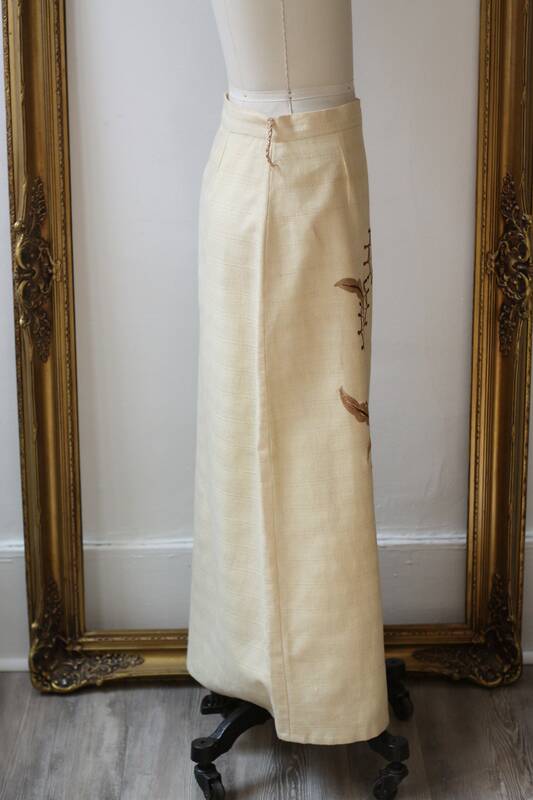 Late 1960s/ early 1970s beige maxi skirt with a zipper closure. 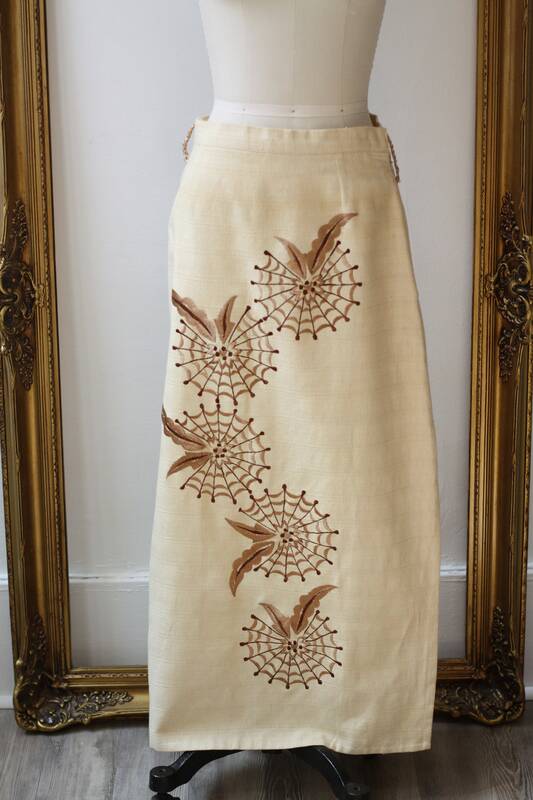 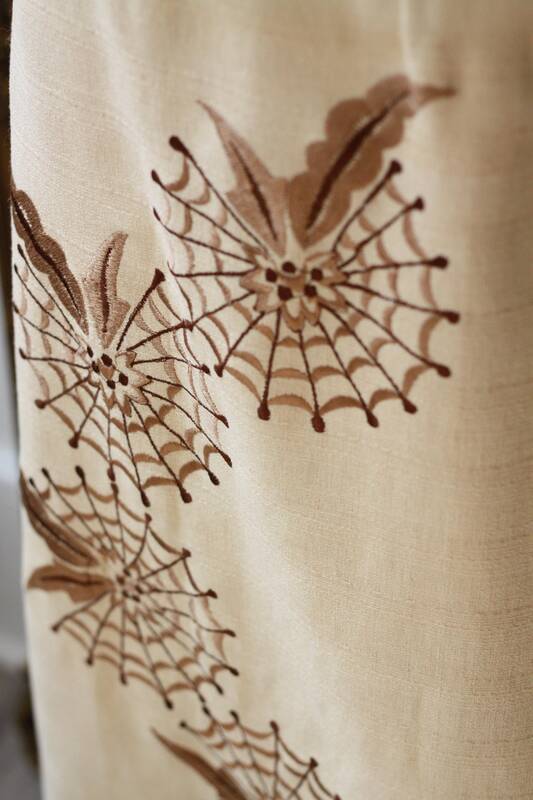 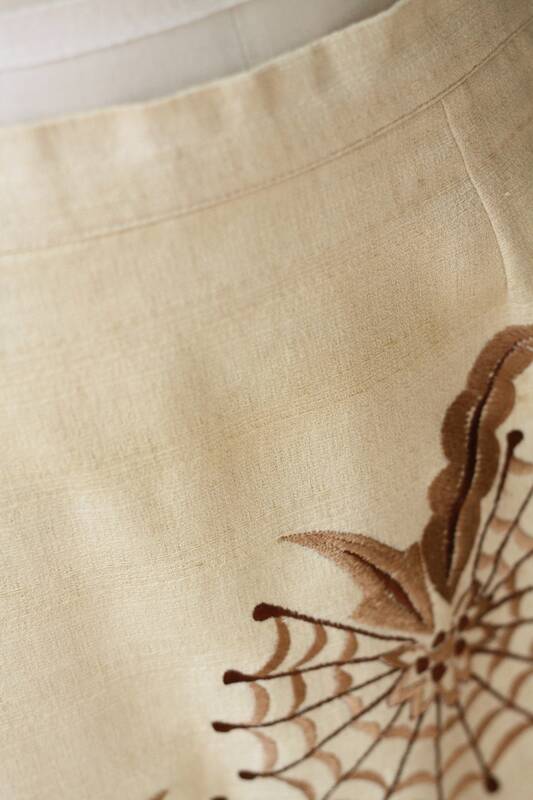 The front of the skirt has embroidered spiderweb motifs scattered throughout. 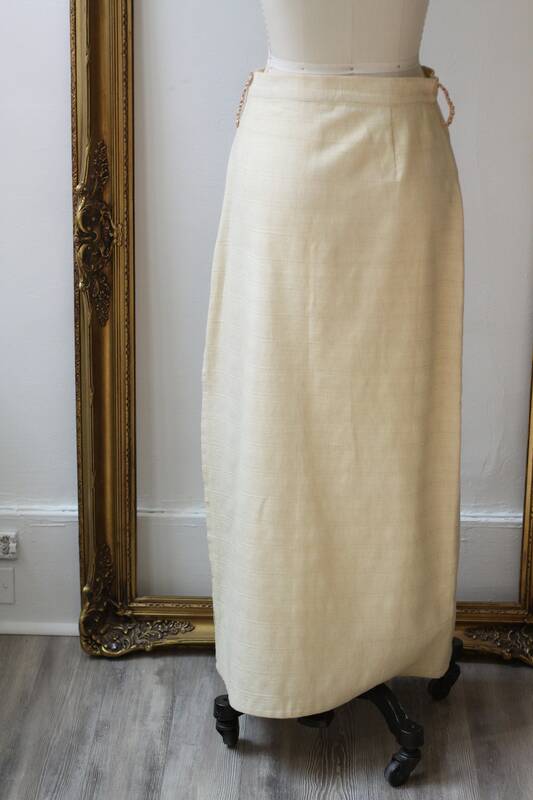 Braided straw belt loops but unfortunately, the skirt is missing the original belt. 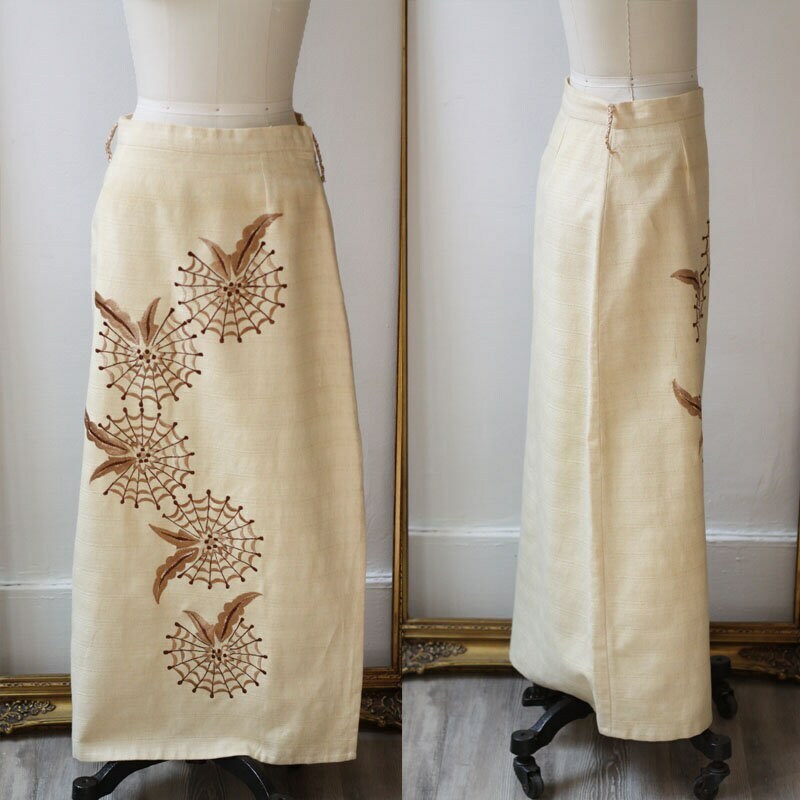 This skirt is in good vintage condition. 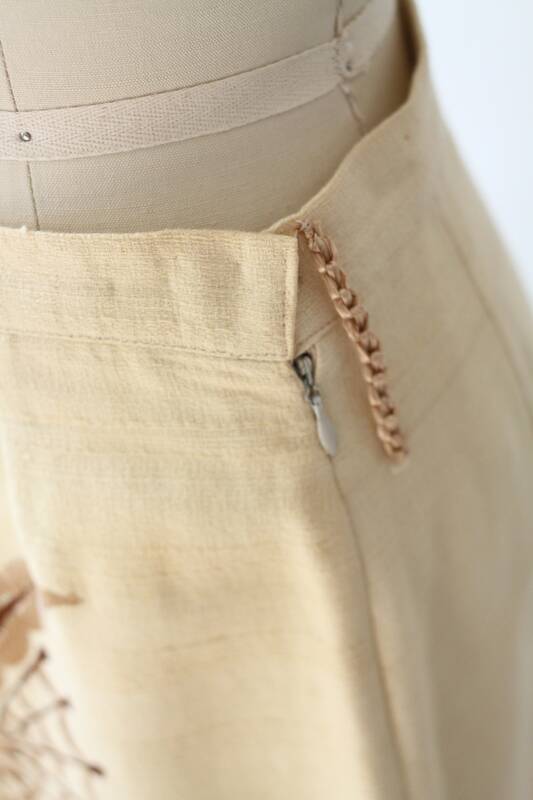 No major flaws, stains, or tears.